At Londonderry Family Dentistry, we offer the best dental cleaning in Londonderry along with general restorative and cosmetic dentistry. Periodontal cleanings and regular cleanings differ slightly from each other. Our dentist, Dr. Jana, recommends coming in for an annual cleaning at least once per year, and sometimes more if periodontal cleanings are necessary. Dr. Jana encourages only the highest standards at her practice and is constantly updating her techniques and equipment to provide you with only the best dental care around. She served in the US Navy Dental Corps for four years before practicing privately and is a graduate of Tufts University School of Dental Medicine. Regular dental cleanings are a must in order to clean the teeth of plaque and tartar that regular brushing alone cannot remove. Your dental cleaning in Londonderry should be done at least once a year in order to prevent buildup and potential tooth decay. Regular cleanings are for those who have only average buildup and no form of gum disease prevalent. For whose who are close to having gum disease, deep pockets in the gums, or periodontal disease, we recommend a periodontal cleaning. 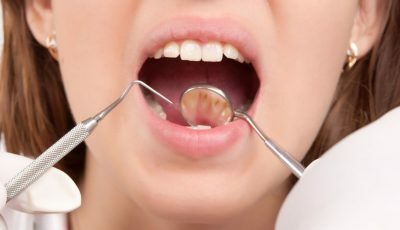 Periodontal treatment uses techniques called a scaling or root planing, which gets way under the gums and flap of the gums in order to remove this bacteria that causes the gum disease. If gum disease or gingivitis is mild, we may actually reverse the progression of it with these techniques if caught early enough. A periodontal dental cleaning in Londonderry is the best way to get inside these pockets and remove the bacteria hiding inside it. For pockets deeper than 4mm, we recommend periodontal treatment so that the gums do not recede and so gum disease does not decay and destroy the tooth and inner pulp. For more information, please call Dr. Jana to schedule your next cleaning today.